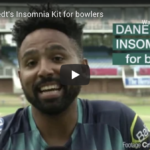 SACricketmag.com has been given a sneak peek preview of Cape Cobras skipper Dane Piedt’s soon-to-be-released Insomnia Breaker for Bowlers DVD. 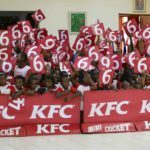 KFC Mini-Cricket Kids from Nomandi Junior Secondary School from Port St Johns in the Eastern Cape spent a morning training and getting active at Buffalo Park in East London on Monday 8 October 2018. 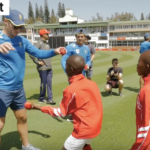 During the T20I series against Zimbabwe, KFC gave the Mini Cricket kids an opportunity to join their Protea heroes for a sneak preview of what happens behind in the scenes on an official Proteas tour. 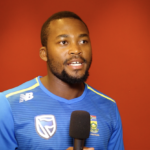 Proteas allrounder Andile Phehlukwayo talks about how KFC Mini Cricket changed his life and how he has enjoyed giving back to young South African boys and girls through KFC’s Meet the Proteas on Tour initiative. 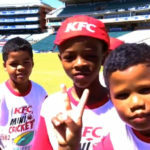 Three KFC Mini-Cricket teams have won the once-in-a-lifetime opportunity to spend two days with the Proteas! 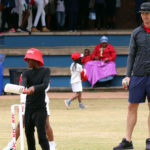 The Wanderers Stadium in Johannesburg played host to the Gauteng LSEN festival last week as schools from all around the province sent their students to the annual event. 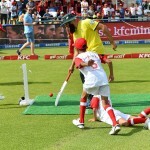 On Saturday, over 1,600 KFC Mini-Cricket players representing schools from all over Pretoria got together at TUT for the annual Northerns KFC Mini-Cricket Provincial Festival. Cricket and netball will develop a multi-purpose facility at Botshabelo Hub.